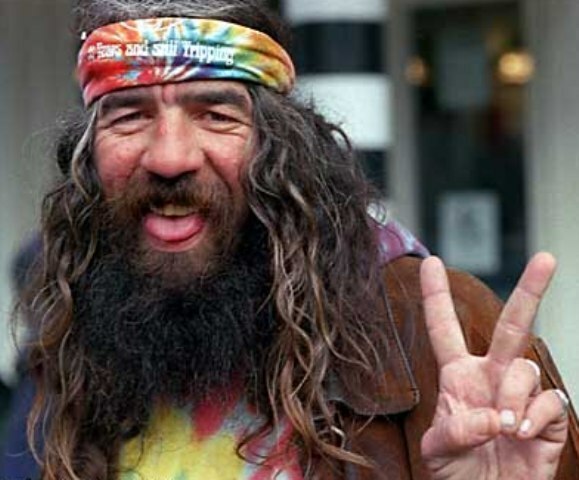 A long haired hippie raises his fingers in the form of a V. “Peace, man,” he says in a haze. On May 8, 1945, Germany surrendered to the Allied troops, officially ending the conflict in Europe. Church bells rang throughout Europe. People flooded the streets to celebrate. A giant spotlight tattooed the letter V on the night sky over Paris. The war in Europe was over. The celebrations in the United States, however, were more subdued. We were still at war with Japan. On August 15, 1945, though, Japan surrendered, bringing to an end a war which had claimed the lives of well over 50 million people. With the victory came peace. Peace is a rare commodity in our world today. Wars continue to rage. The Middle East is a mess. At home, the chasm between blue states and red states grows with every election. Unstable people go on shooting rampages and crash planes into mountains. Marriages crumble. Families are in crisis. We each struggle to find peace as we deal with the hurt and heartache of this world. We feel the conflicts within and around us as we stand in front of the mirror or in front of the casket of someone we love. That’s why Holy Week is so important. This week we follow our Savior through the turmoil and violence of his last days here in on earth. We see him wage war with sin, death and the devil. We see him die. His death, however, was not a defeat. When Jesus cried out from the cross, “It is finished,” he wasn’t surrendering. He was declaring his victory over his enemies. He was signing our peace treaty with God. That treaty was ratified on Easter Sunday morning as Jesus rose victorious from the grave. Death had been swallowed up in victory. And with the victory came peace. We now have peace with God. God is no longer the angry Judge who will justly punish you for all the dumb and hurtful things you do. He is now your loving Father and Friend who forgives you and gives you a home in heaven. And that peace with God gives us a peace of heart and mind which the world cannot give. As we stare at our dirty and deformed reflection in the mirror, we have the peace of knowing we have been washed clean in Jesus’ blood. God now looks at us as his perfect princes and princesses. As we sadly stand hunched over the caskets of our loved ones, as we face their deaths and our own mortality, we find peace in Christ’s victory over the grave. Because he lives, we too will live. Heaven is ours. That’s what Holy Week is all about. Don’t look at the variety of services this week as either/or. See them as both/and. Go to all of them. Go to church on Maundy Thursday. Go to church on Good Friday. Go to Church on Easter Sunday. See how your Savior won the war. Celebrate the victory he won for you. Because with the victory comes peace.